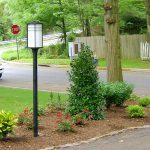 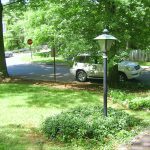 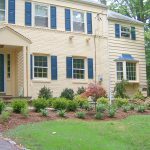 We transformed the entire home’s landscape by first removing the old stone work, light fixture, & shrubbery from the house. 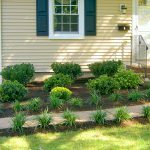 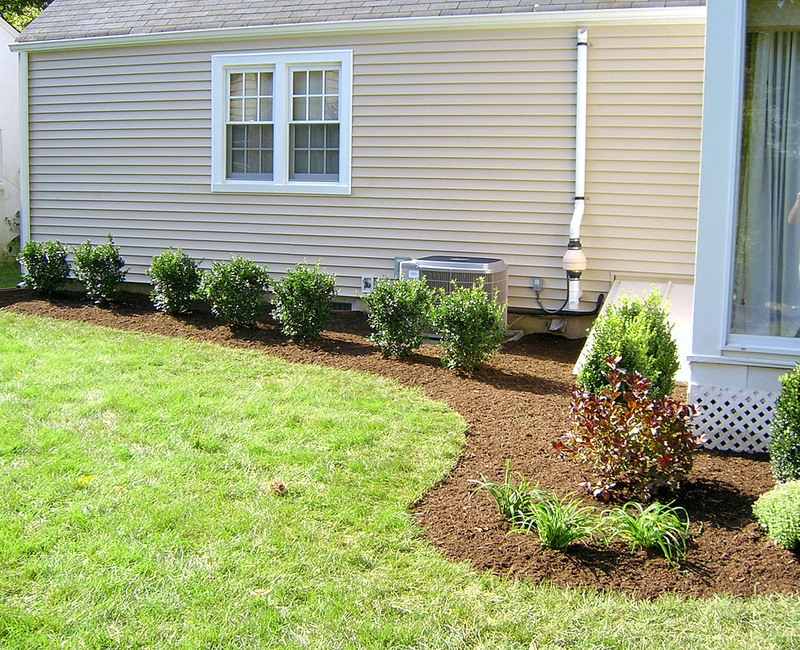 We then installed the newly designed landscape in the front, side & back of the house. 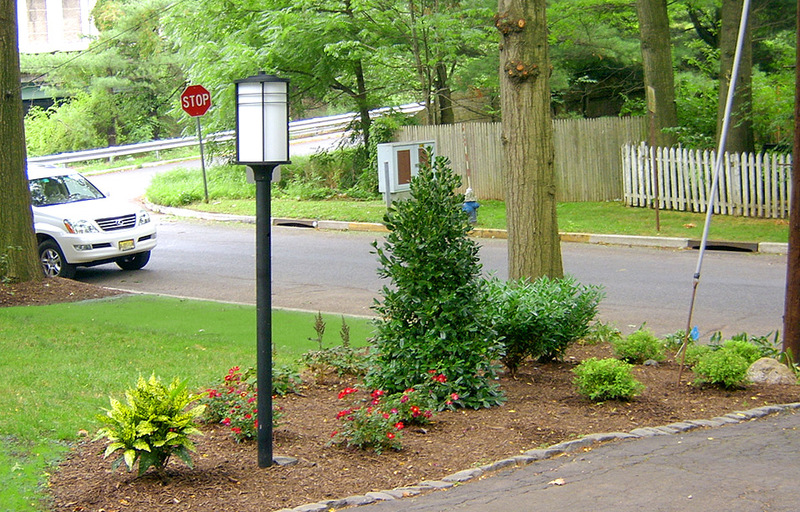 A new light fixture and hardwood mulch was installed as a final touch. 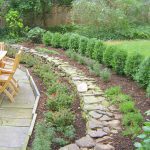 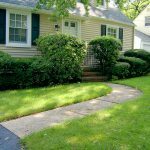 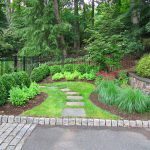 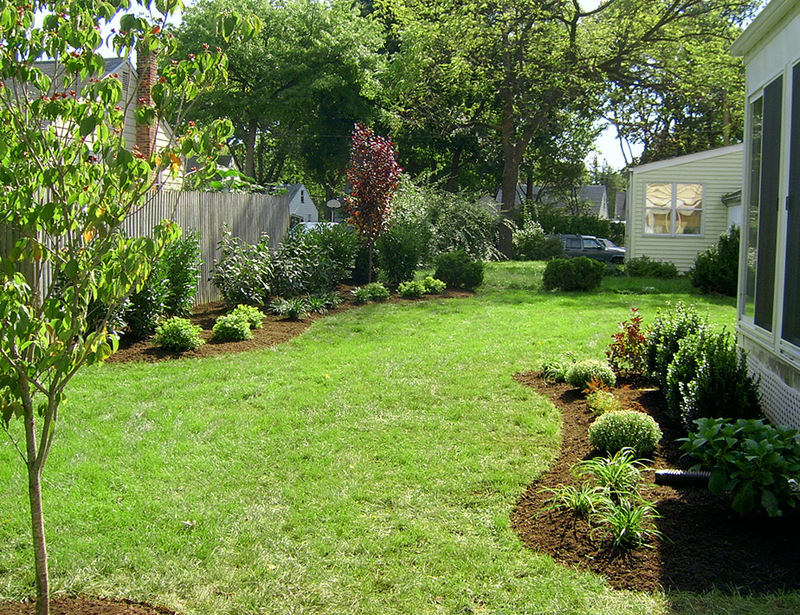 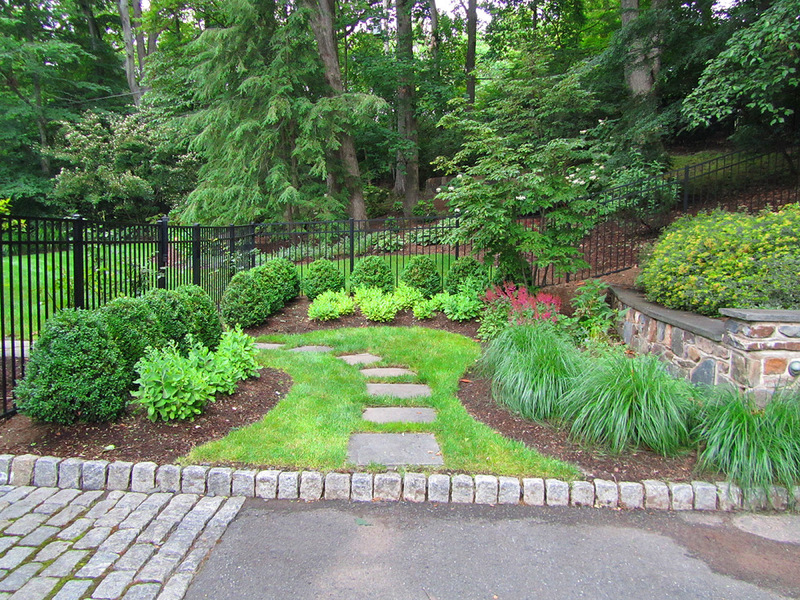 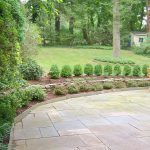 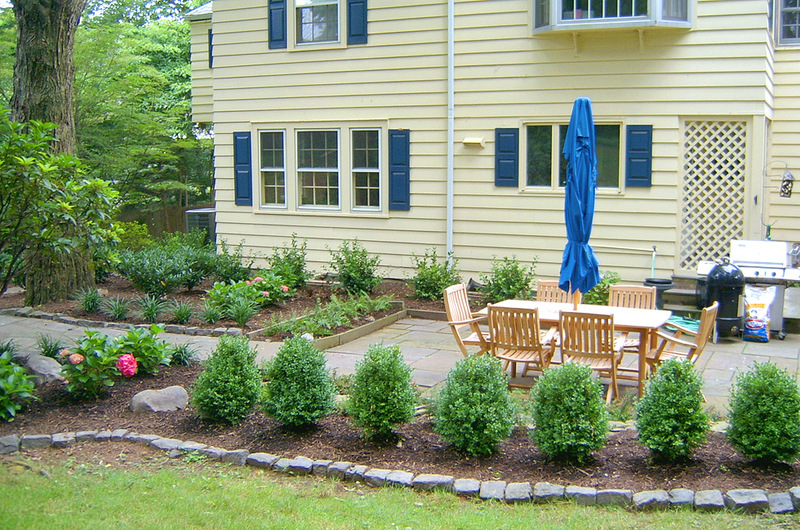 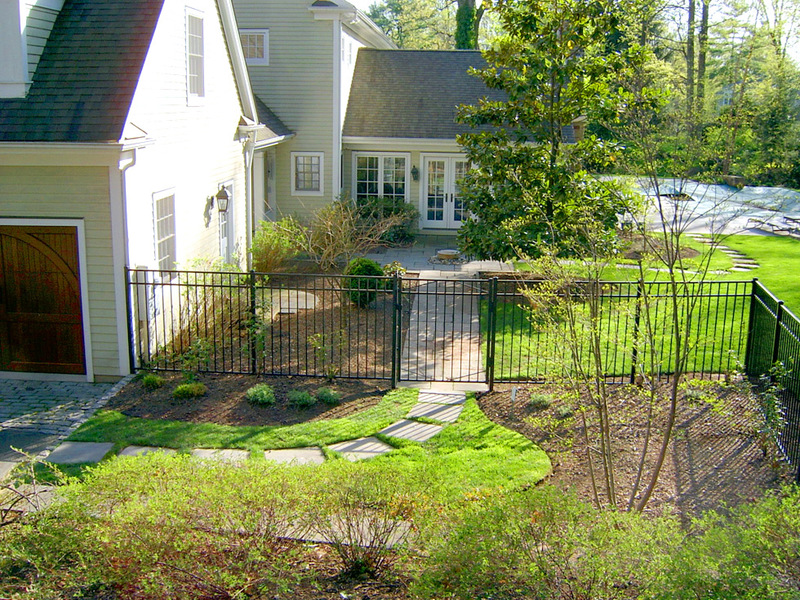 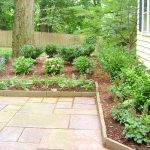 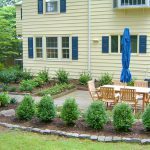 Our client desired a complete landscape renovation with a more up-to-date design. 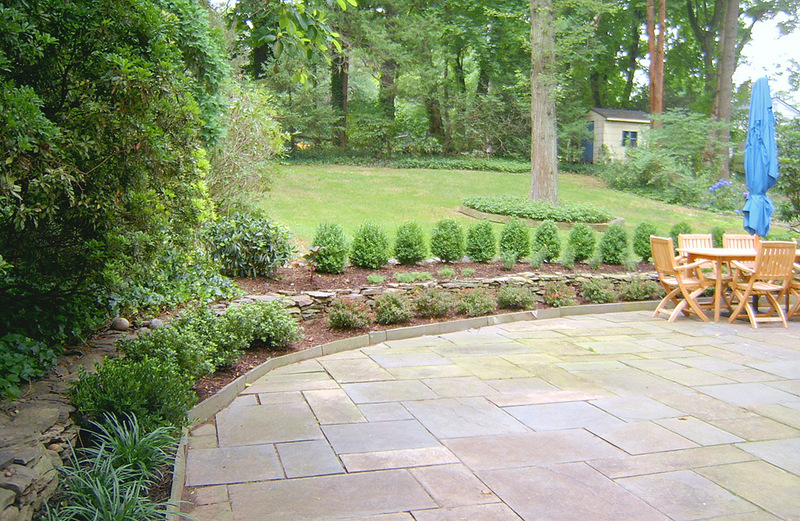 We began the project by meeting with the client to discuss their expectations. 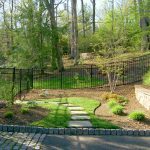 We offered a series of sustainable options that worked with the sun exposure & the client’s requests, finalizing the plan before moving forward. 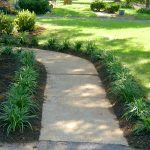 We then set out to remove the antiquated landscape, layout and install the new plantings in front, and re-shaped the beds. 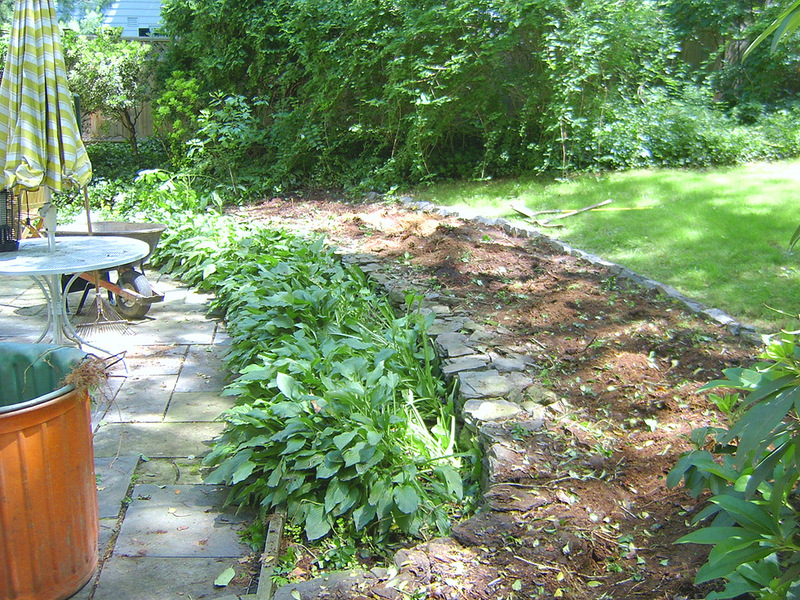 Next, we shaped new plant beds against the back of the house & the fence. 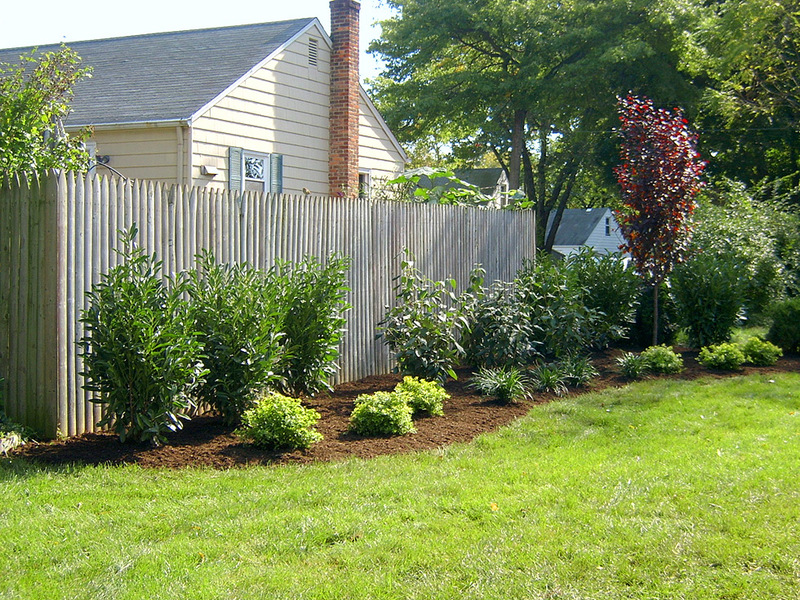 We then moved on to installing the new shrubs, perennials, and trees in the back. 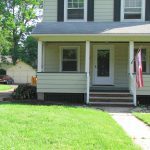 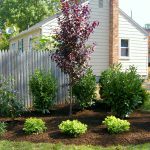 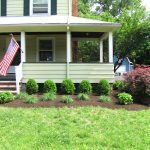 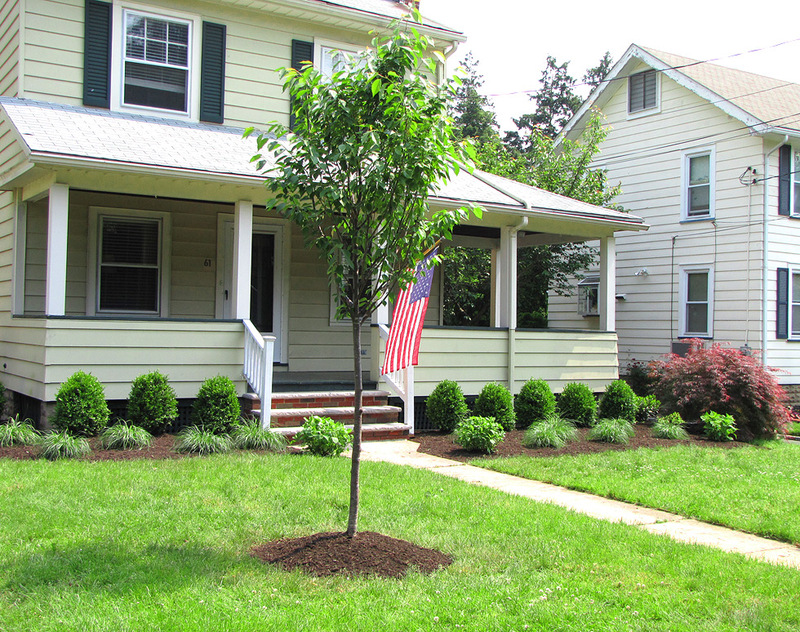 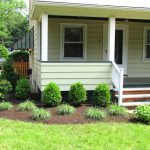 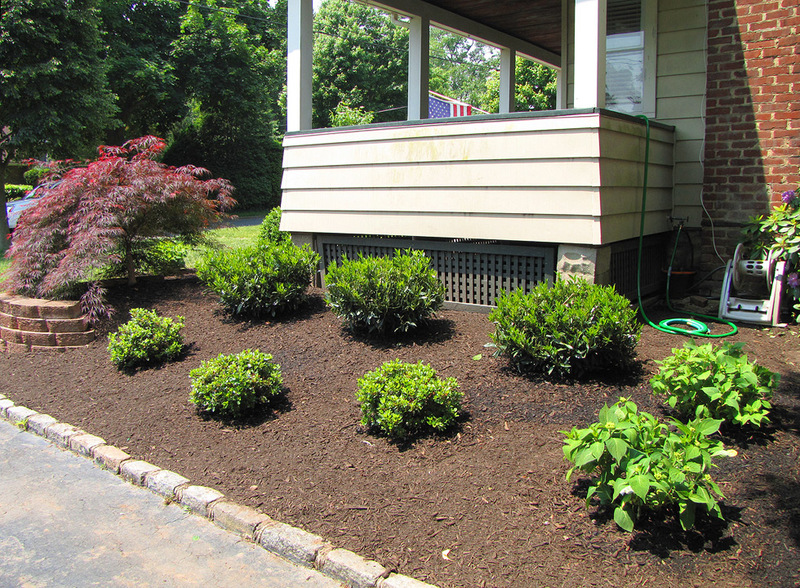 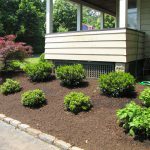 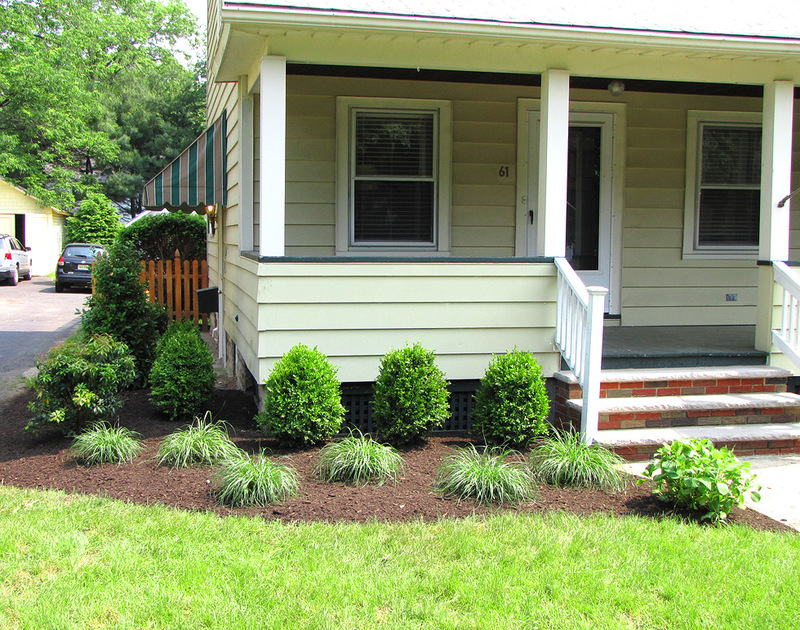 Finally, we added natural hardwood mulch as the final step – a new landscape! 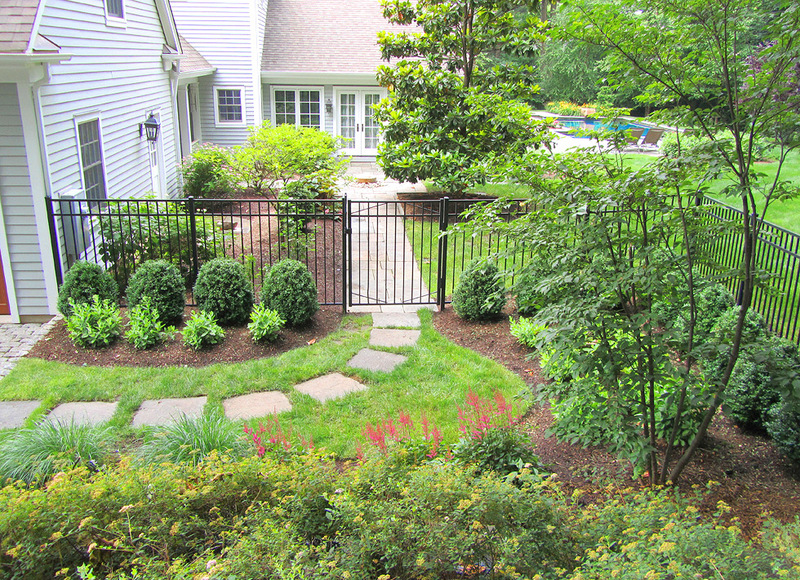 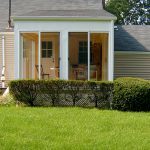 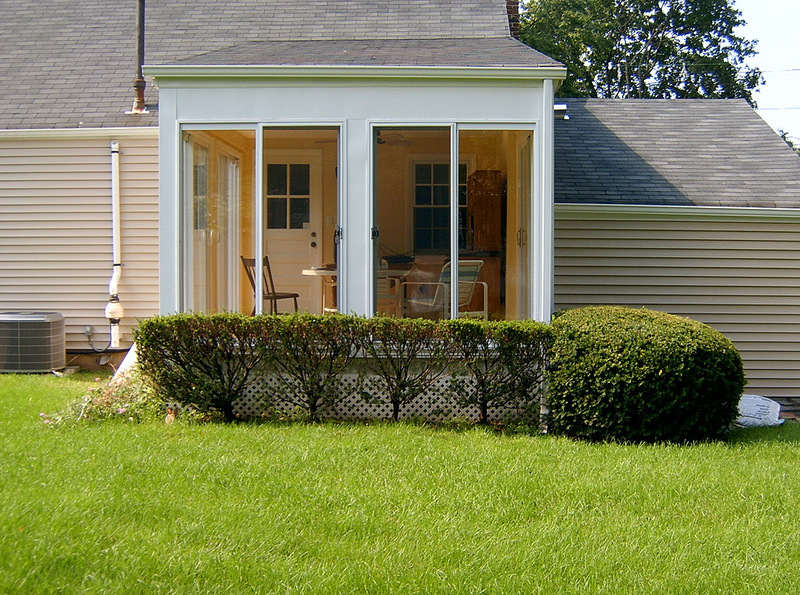 In about two days, we provided a more desirable curb appeal, and enhanced their private outdoor living space. 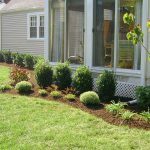 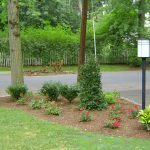 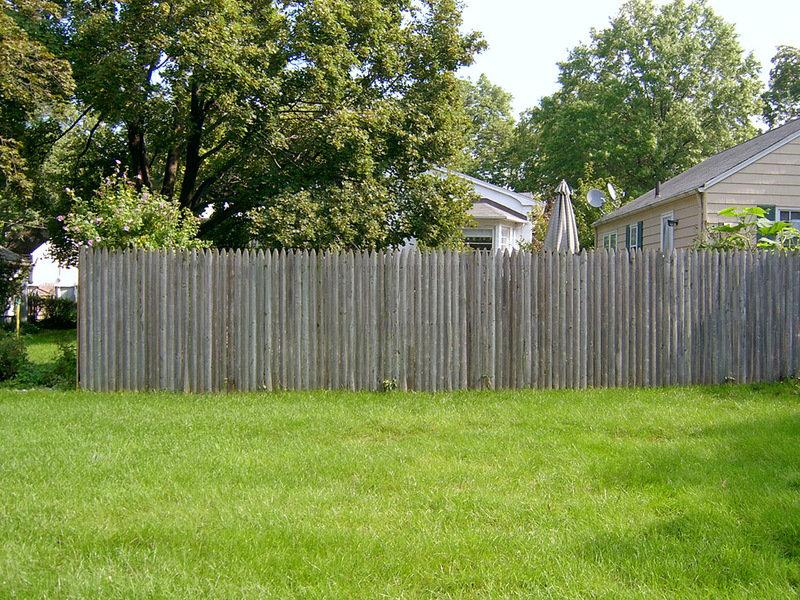 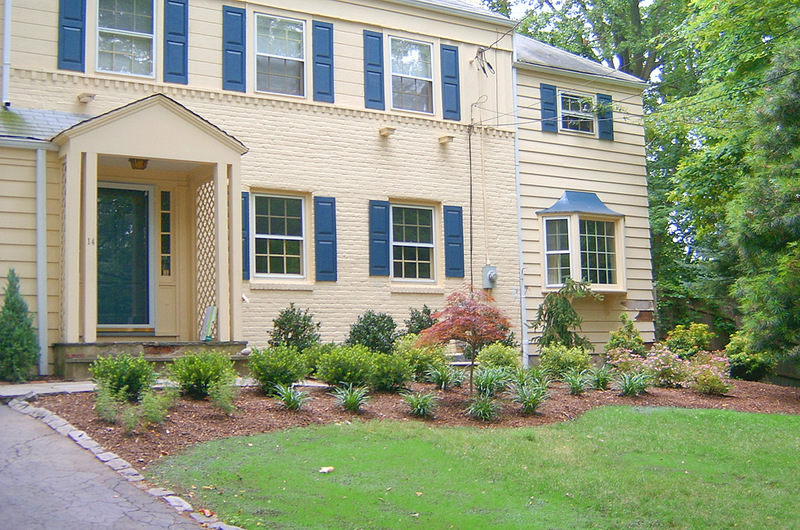 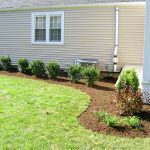 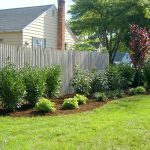 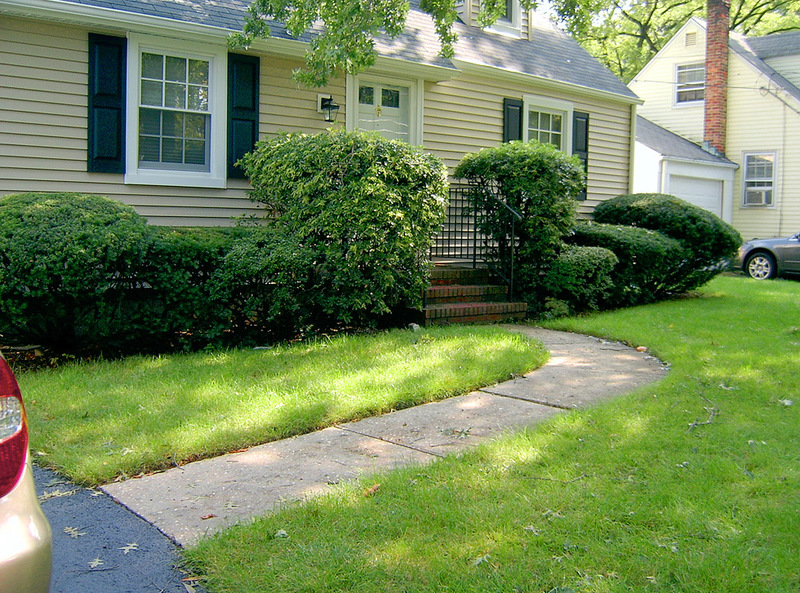 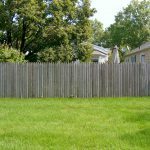 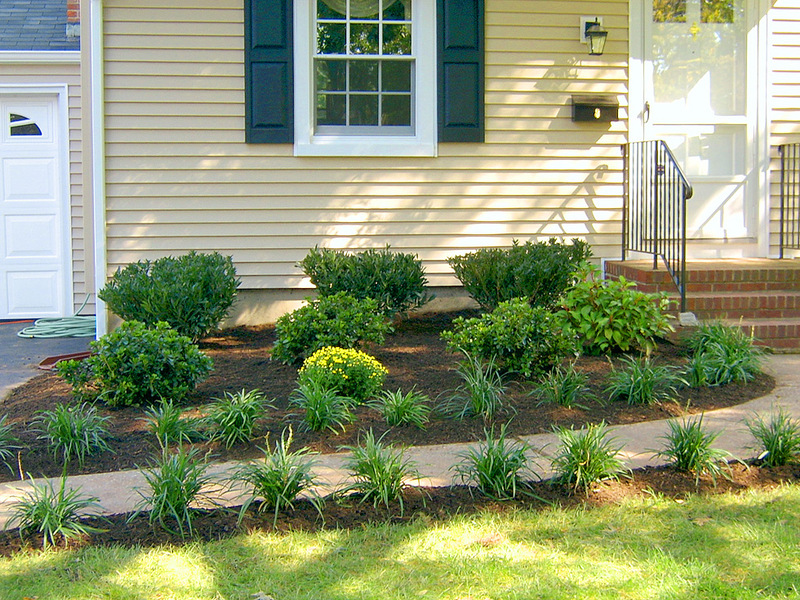 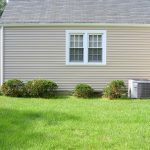 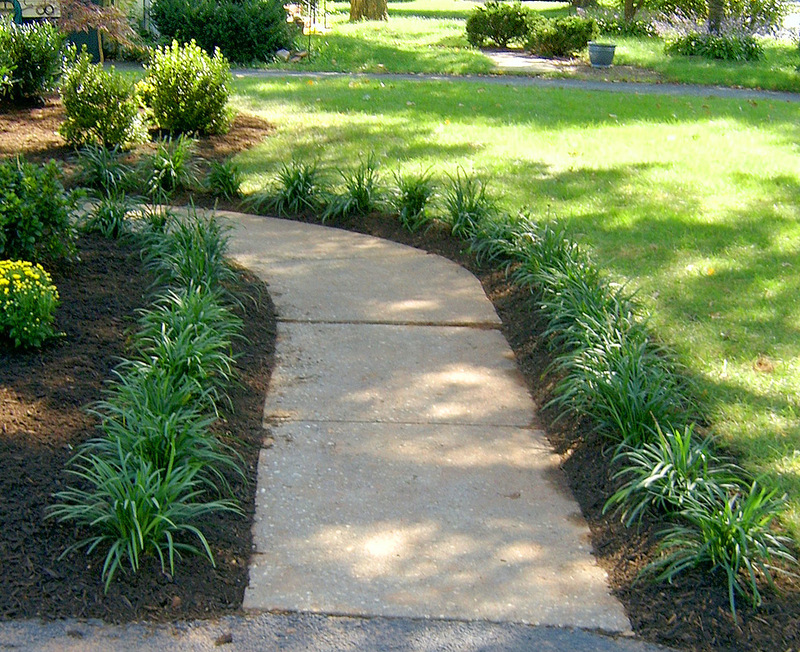 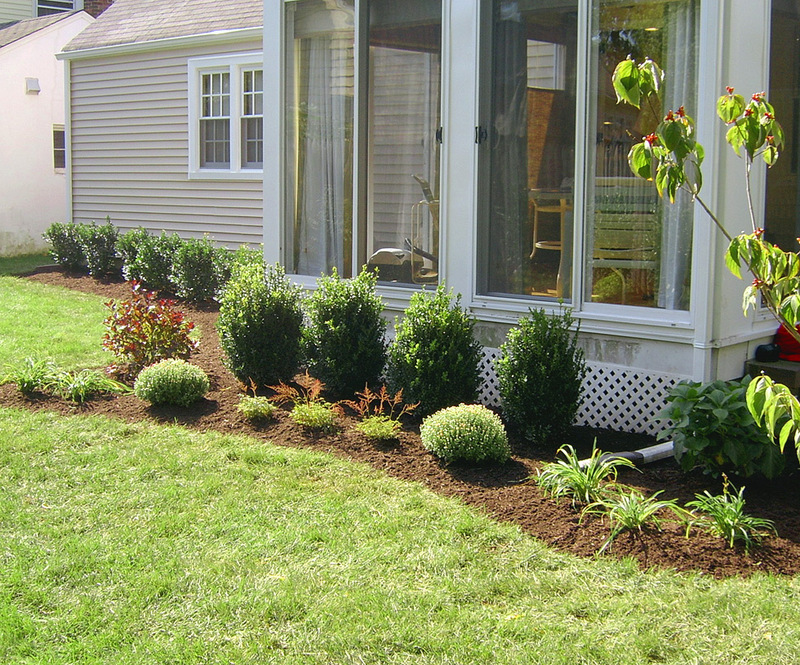 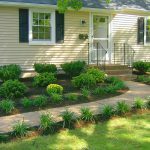 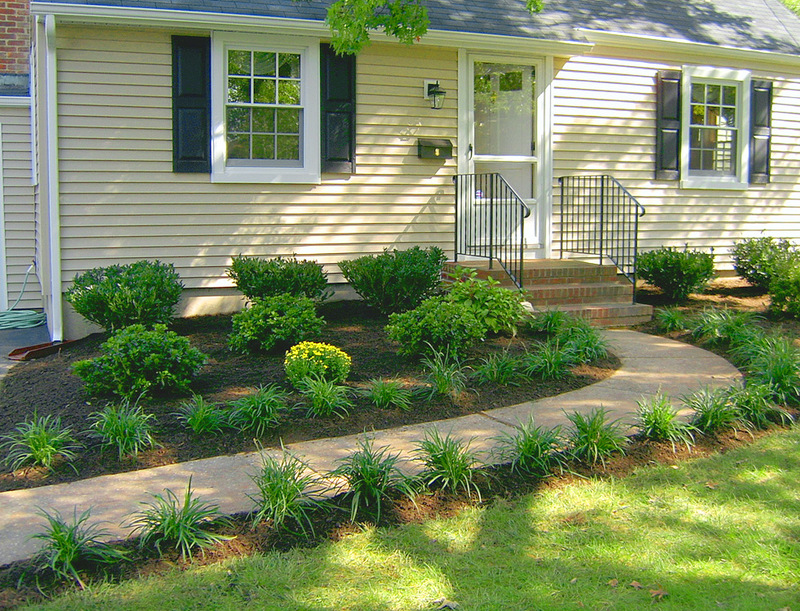 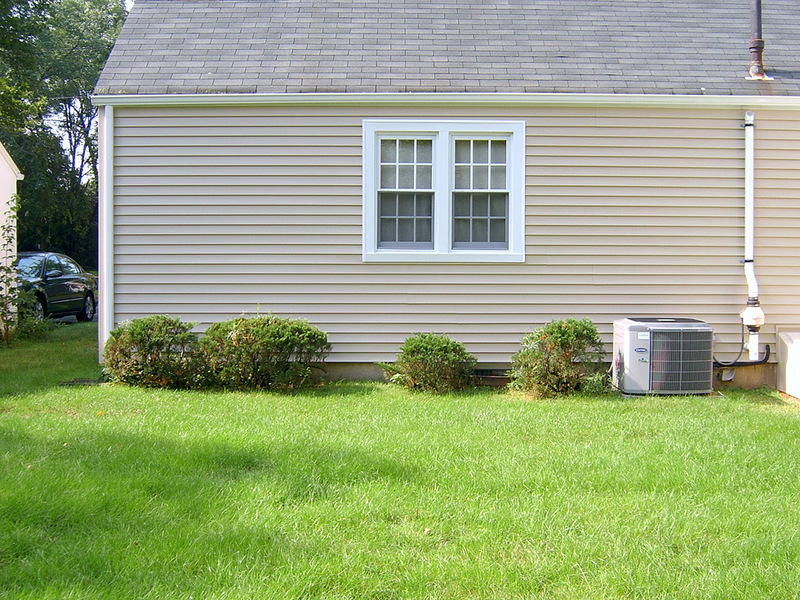 Our client asked us to beautify the front and side of their landscape. 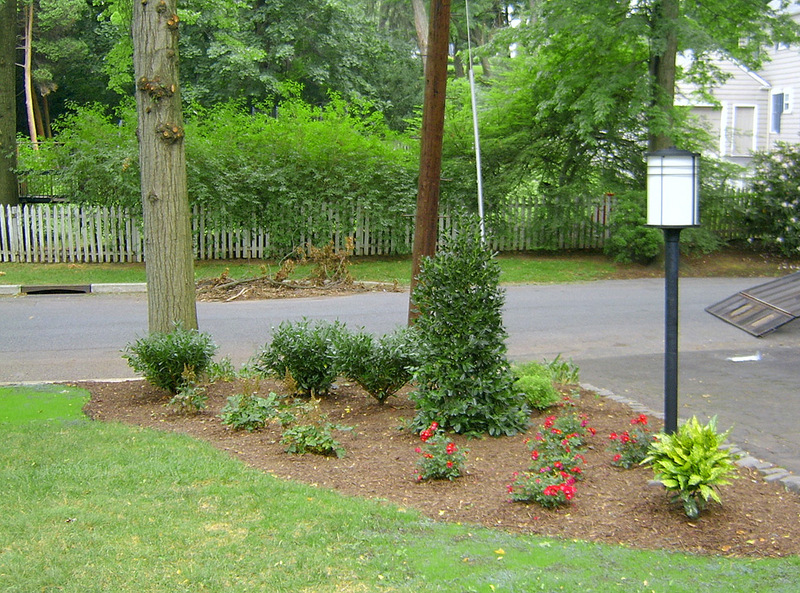 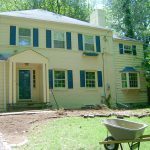 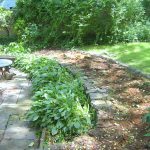 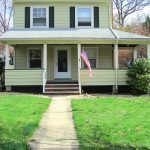 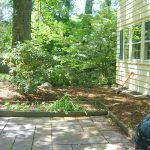 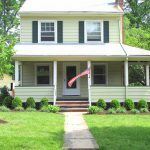 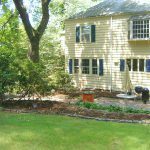 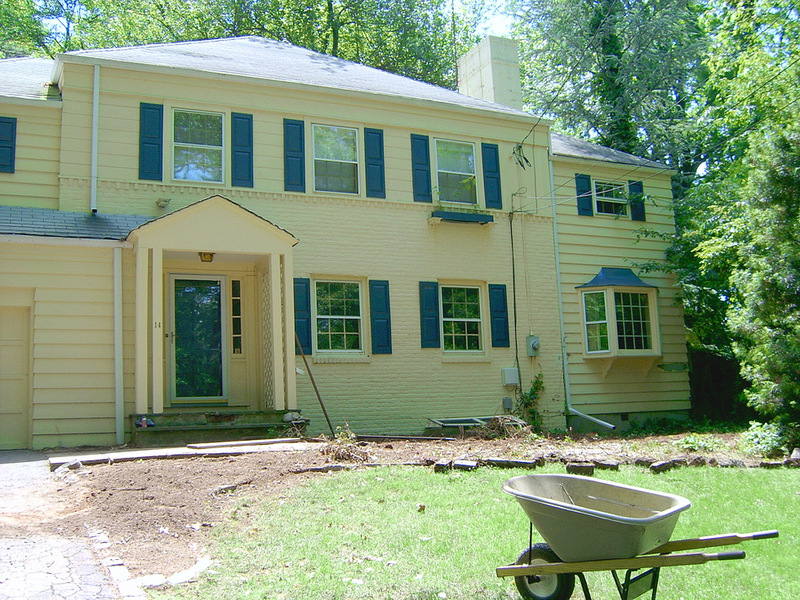 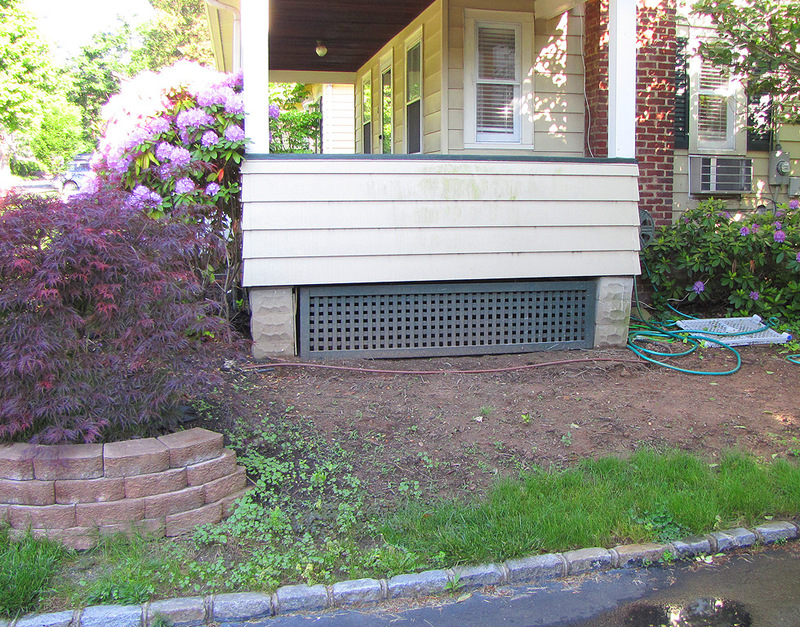 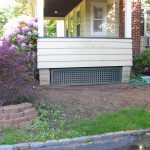 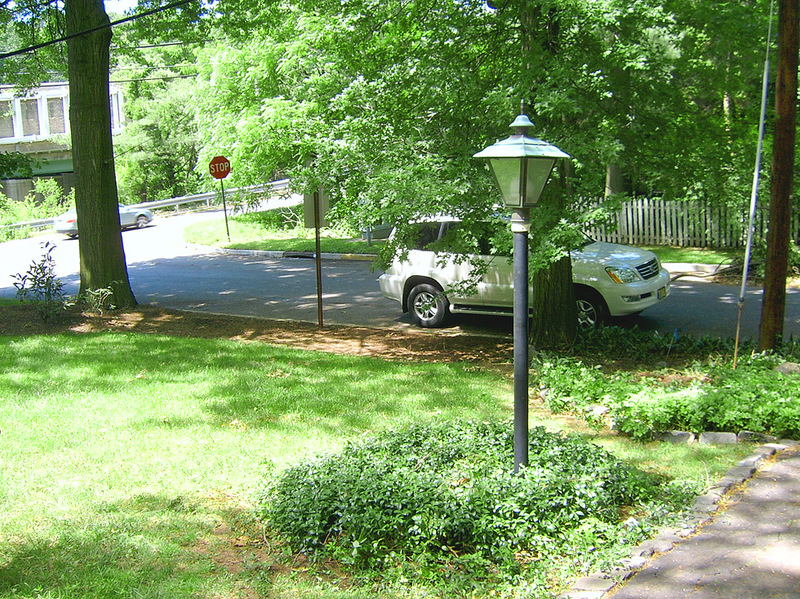 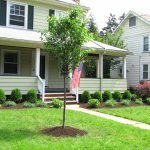 We began by removing the antiquated shrubs and large bushes. 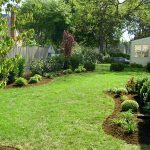 We then discussed the choices with the client, offering possibilities that worked with the given sun exposure and client preferences. 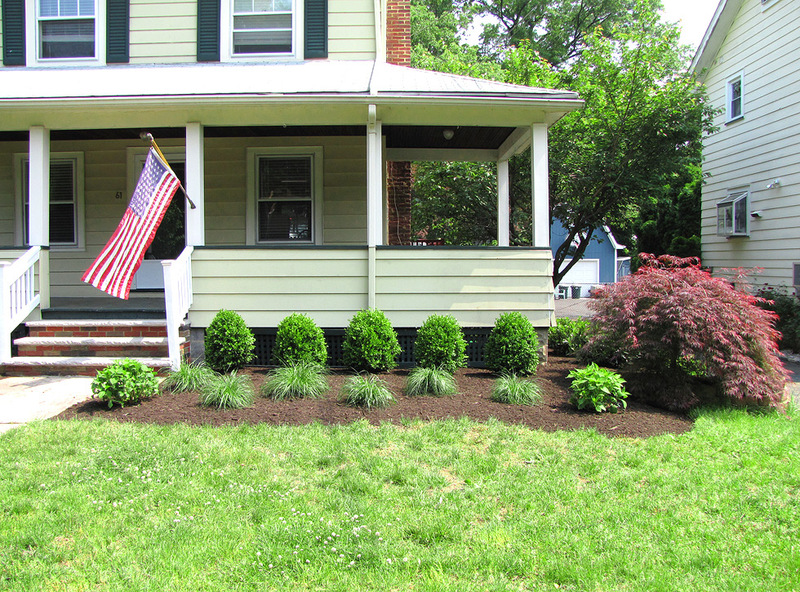 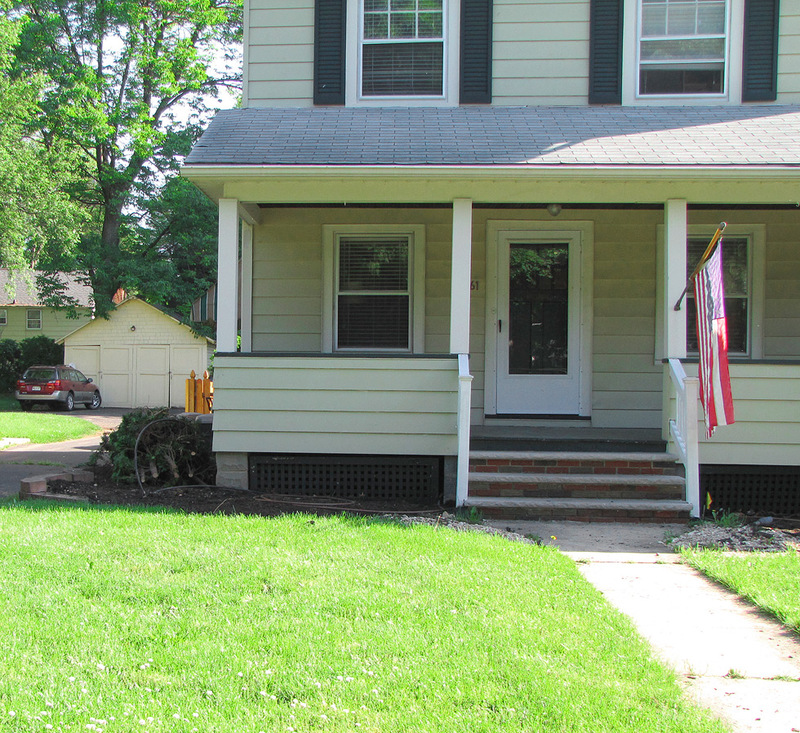 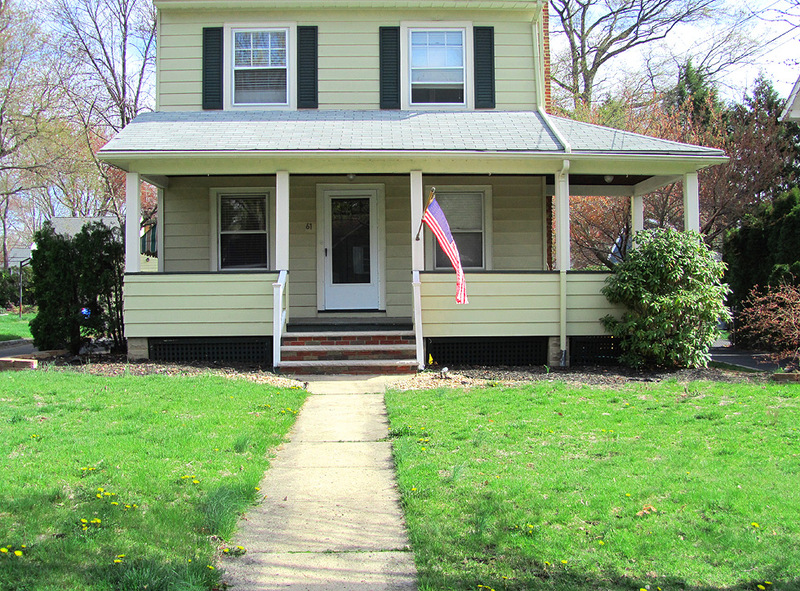 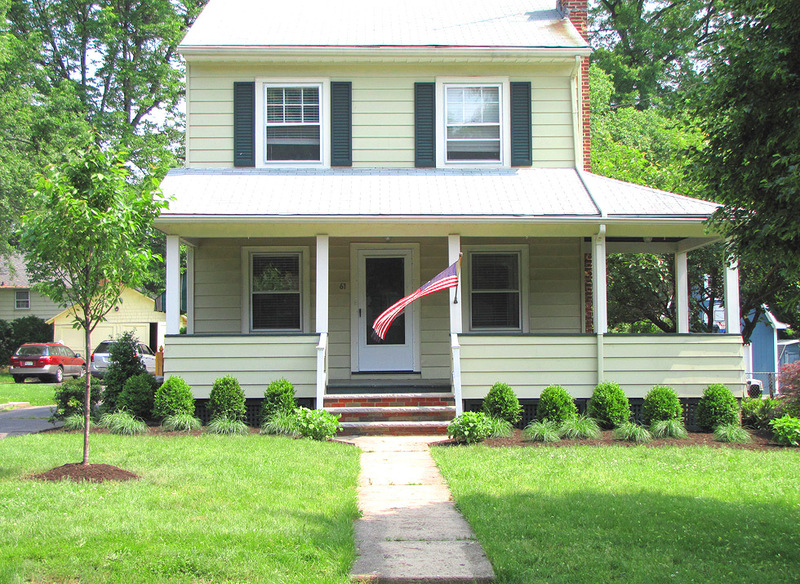 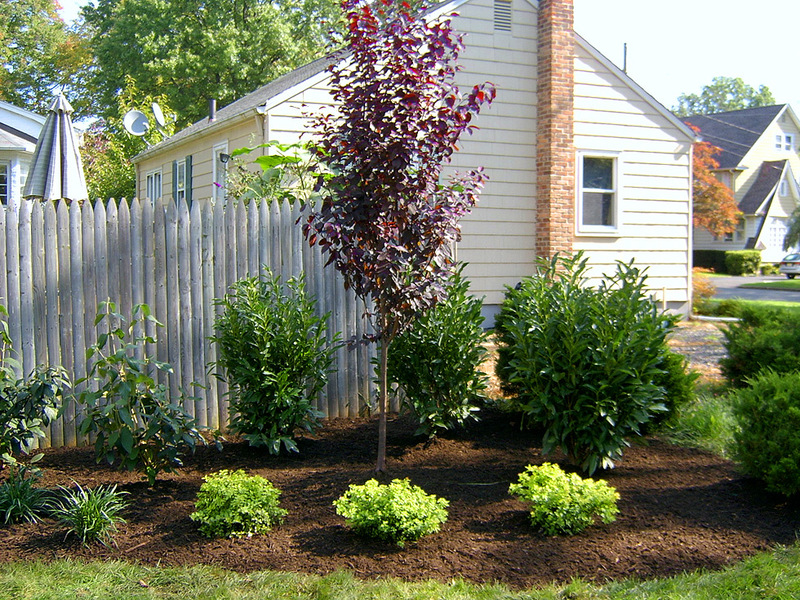 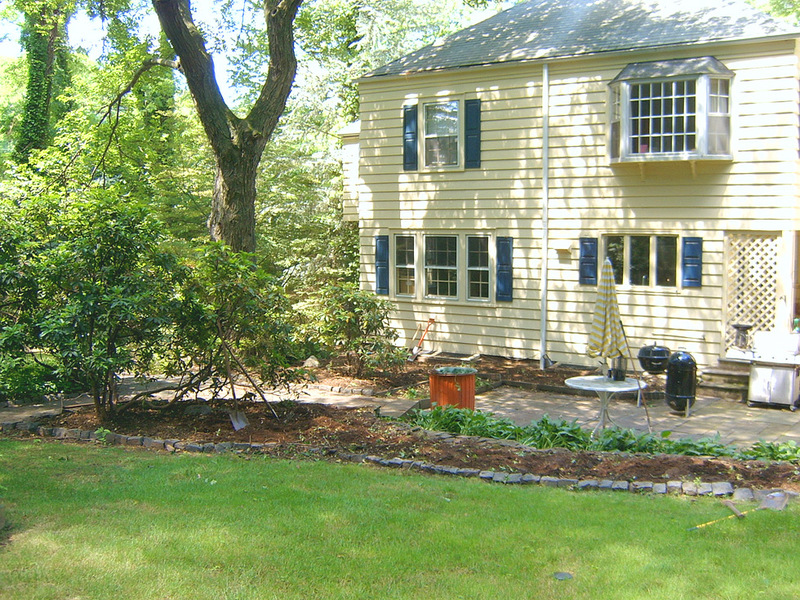 Next, we finalized the plan, & set out to install the shrubs, perennials, trees, & lastly a natural hardwood mulch. 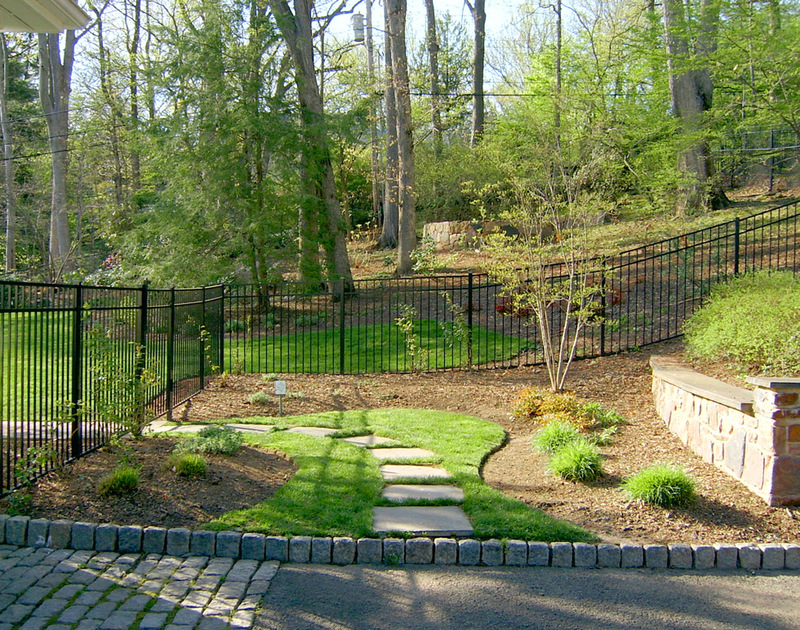 Entering this great backyard just got more amazing. 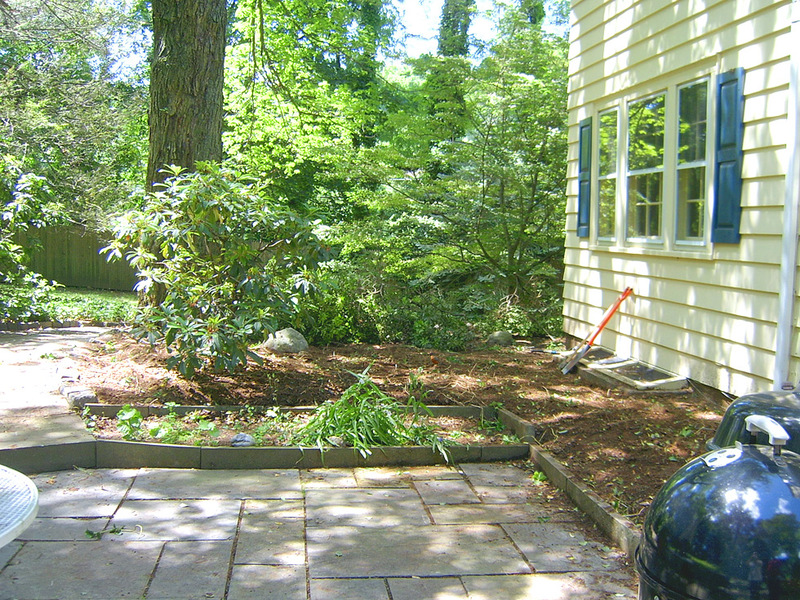 We started by removing the small plants, & prepping the area for new additions. 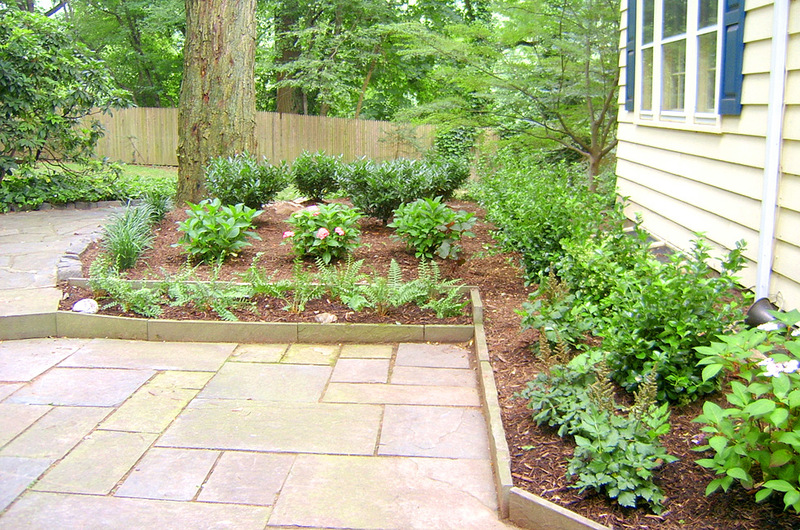 We then designed the space, conceptualizing different plant textures & colors. 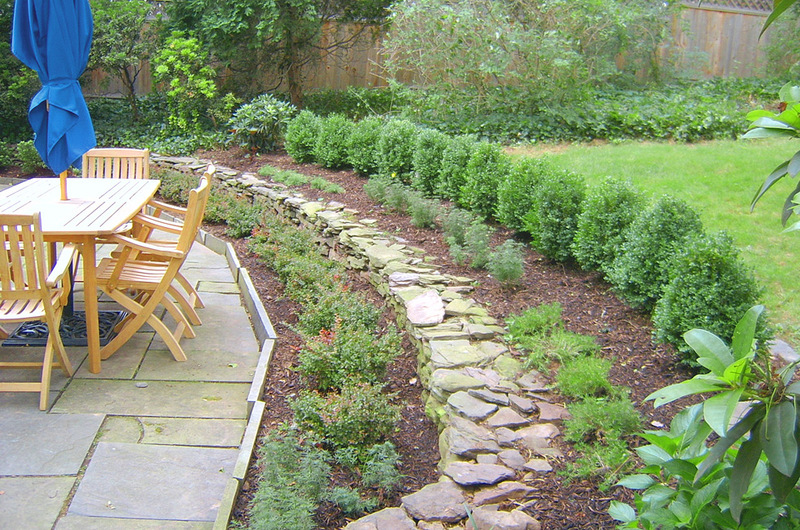 This design also included some plant material transplanted from another area of the property.